With winter and the time-change closing in, I recently took my last weekday ride of the year. After-work rides in the middle of the week are my favorite method of stress relief. There’s no better way to take a break from the job than by enjoying a Wednesday evening ride on my Sea-Doo. 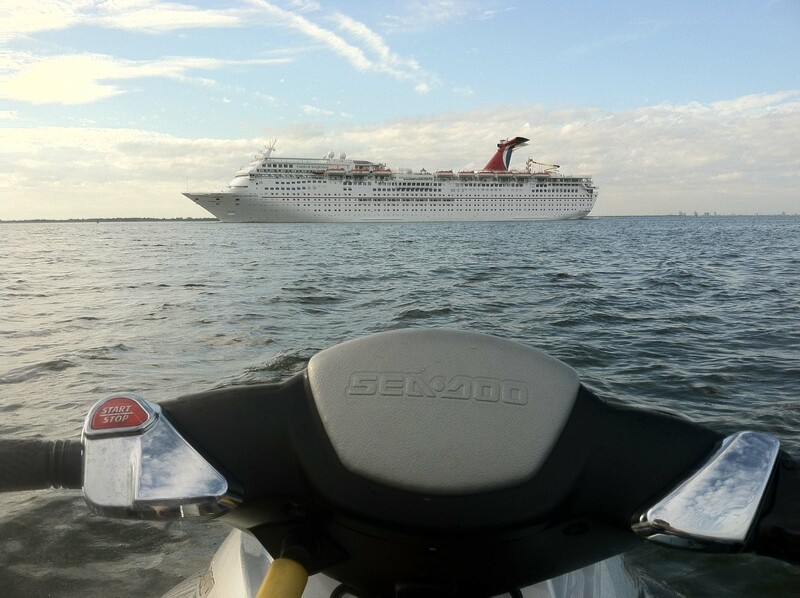 Cruise ships often depart the Port of Tampa during the week and it’s always impressive to watch a 900-foot ship go by while sitting on an 11 foot Sea-Doo watercraft. Although I keep riding all year long, the early sunsets will prevent most of us from making it out during the work week until Daylight Savings Time returns in March. Winter does come with some benefits. Aside from less crowded boat ramps, and slightly higher speeds on the Sea-Doo, the waves gradually begin to pick-up on Florida’s East coast which makes for some really fun riding. We recently did a trip over to Ponce Inlet and New Smyrna Beach to try tow-in body boarding for the first time. It doesn’t get much more fun than that, for both the Sea-Doo rider, and the guy on the board. Ponce Inlet creates some excellent swells and is a well known Florida surfing spot. My wife and I also recently attended the 2011 Riva HydroDrags held at the USA Water Ski Complex in Polk County, Florida. It was great to be able to attend an event like that so close to our own backyard. Race participants spend the entire year modifying and perfecting their watercrafts just for this event. Events included Speed Alley, a Slalom Competition, and the Drag Races. Sea-Doo sponsored the event and had a tent setup with the 2012 RXP-X 260 on display. The Sea-Doo tent was a popular spot to watch the races and the RXP-X attracted a lot of attention. For me, one of the main highlights of the races was watching the winning watercraft, a modified Sea-Doo RXT 215, the same model I’ve been riding for the past 3 years. To watch the old RXT hull hit speeds of 90+ mph was pretty exciting. Looking ahead, I’m pretty excited about upcoming group rides on Thanksgiving weekend and New Year’s Day. 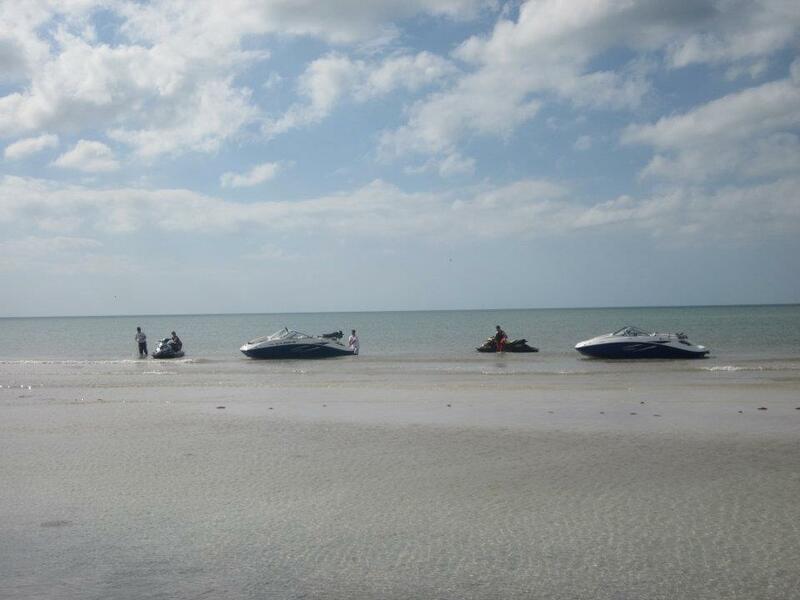 Even in the middle of winter, we’re pretty fortunate in Florida to be able to throw on a light wetsuit or tour coat and still be able to enjoy our Sea-Doos while we wait for the return of the summer riding season.